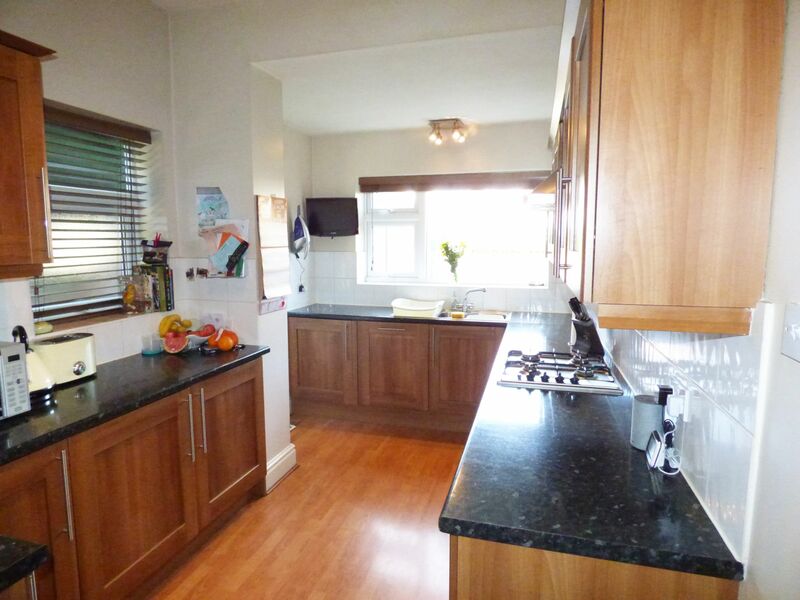 Offering for sale this well presented three bedroom semi detached property situated in a desirable location close to local amenities, bus routes and Stepping Hill Hospital. 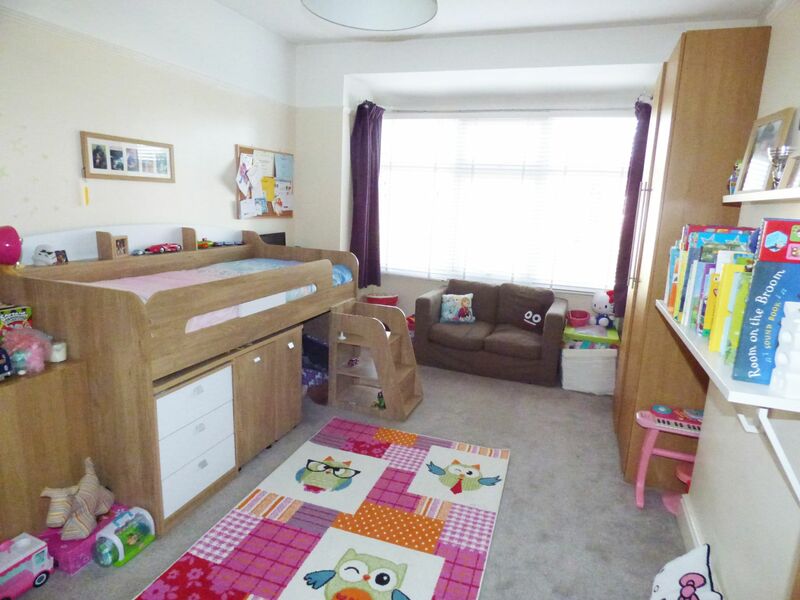 The property provides perfect living accommodation for the growing family with a good sized lawned rear garden, off road parking and single garage. 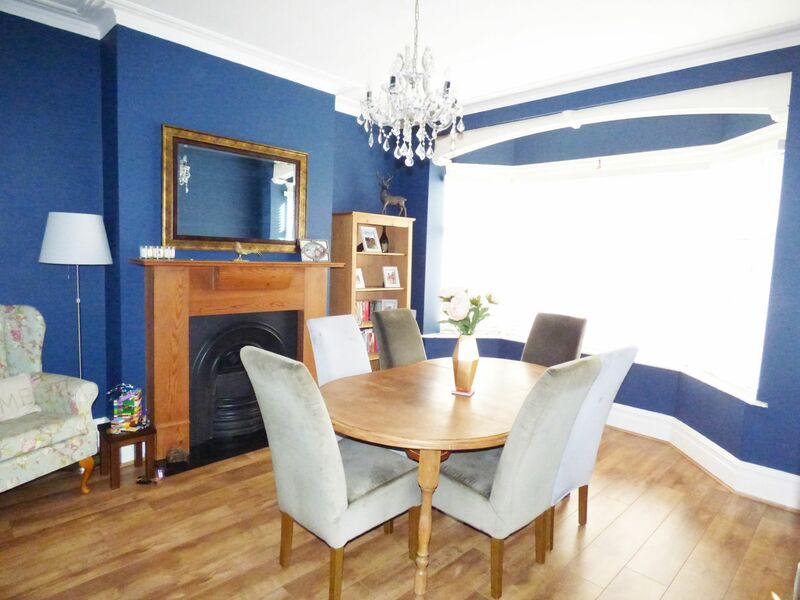 In brief the accommodation comprises: Entrance Hallway, dining room, lounge with French doors leading to the rear garden and kitchen with integrated appliances to the ground floor. 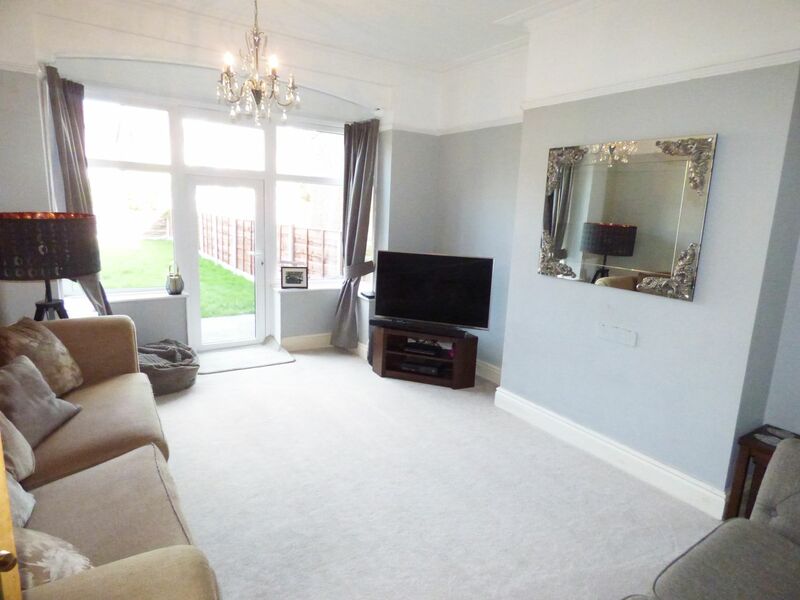 Whilst to the first floor there are three bedrooms, family bathroom and a separate W.C. Outside, there are gardens to both the front and rear of the property and an imprinted driveway providing off road parking for several cars leading to a single garage. 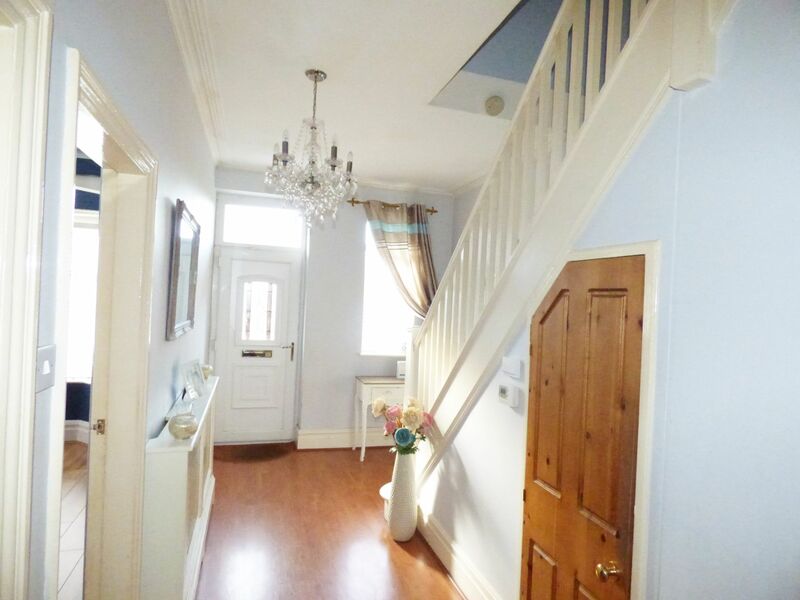 uPVC entrance door, uPVC double glazed window, radiator with cover, staircase leading to first floor accommodation, laminate flooring, cornice to ceiling, storage cupboards housing gas and electric meters. Fitted with a white suite comprising low level W.C. and wash basin with storage under, radiator with cover, Xpelair fan, laminate flooring. uPVC double glazed window to front aspect, feature fireplace with cast iron back, radiator with cover, cornice to ceiling, T.V. aerial, telephone point, power points. uPVC double glazed French doors to rear aspect with windows either side, radiator with cover, T.V. aerial, cornice to ceiling, power points. uPVC double glazed window to rear and side aspects, fitted with a range of wall and base units with contrasting work surfaces over incorporating stainless steel sink and drainer with mixer tap, electric oven with gas hob and extractor hood above, splashback wall tiles, integrated dishwasher, washing machine, fridge and freezer, laminate flooring, Worcester combi boiler, uPVC side entrance door, power points. uPVC double glazed window, spindle balustrade, picture rail, cornice to ceiling. 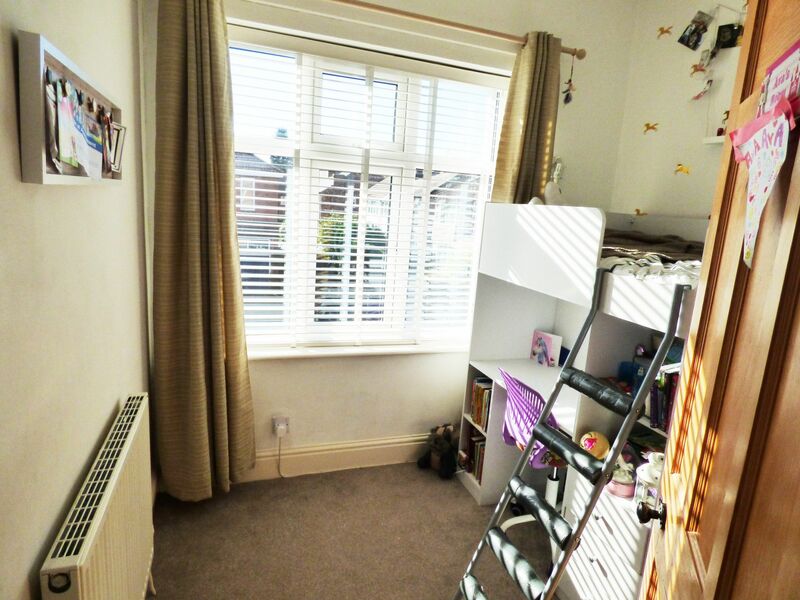 uPVC double glazed bay window to front aspect, fitted with a range of wardrobes with drawers and doors opening to display T.V., matching bedside cabinets, radiator with cover, cornice to ceiling, picture rail, T.V. aerial, power points. uPVC double glazed window to rear aspect, double radiator, T.V. aerial, power points. uPVC double glazed window to front aspect, single radiator, T.V. point, power points. 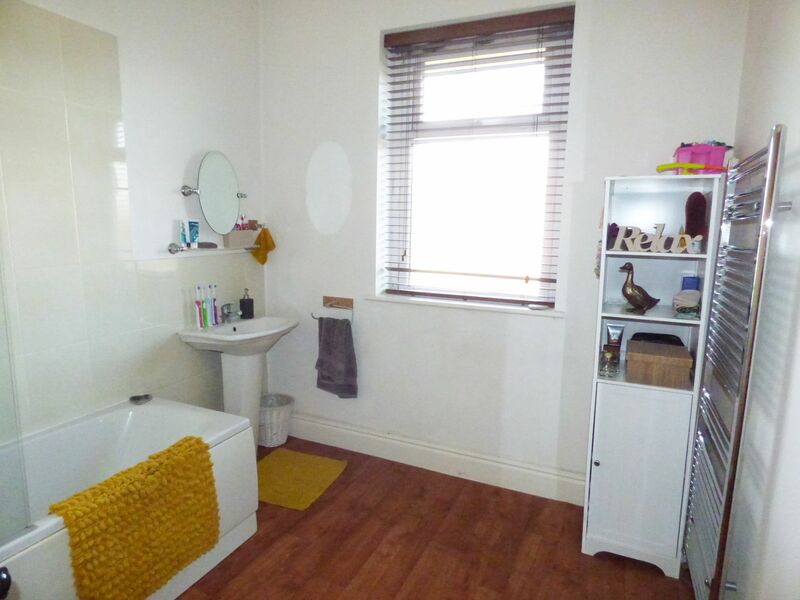 uPVC double glazed window to rear aspect, fitted with a white suite comprising panelled bath with mains shower over and shower screen and pedestal wash basin, heated chrome towel rail, laminate flooring, part tiled walls. uPVC double glazed window, low level W.C. The rear garden is enclosed by fencing with imprinted patios and a path, two lawned areas and an outside light. The front garden has an imprinted driveway providing off road parking for several cars. 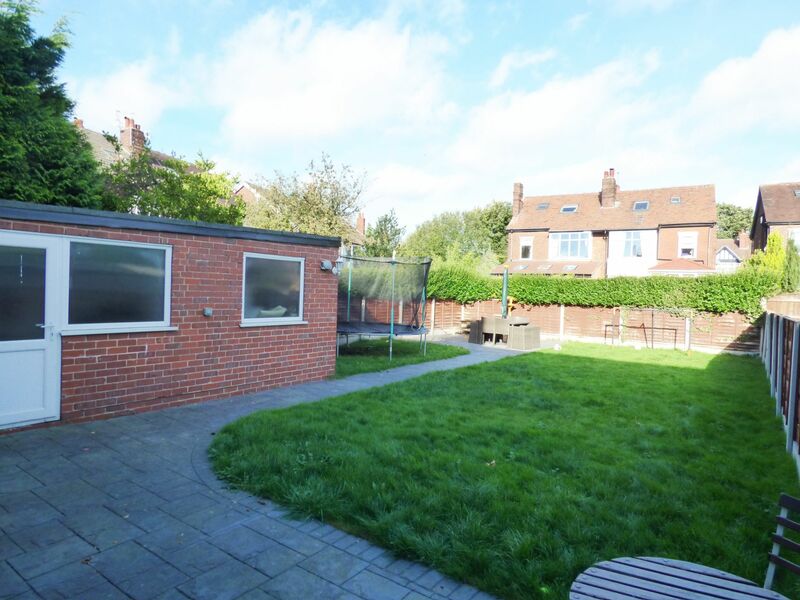 Detached brick built garage with uPVC double glazed windows and side door, power and lighting. 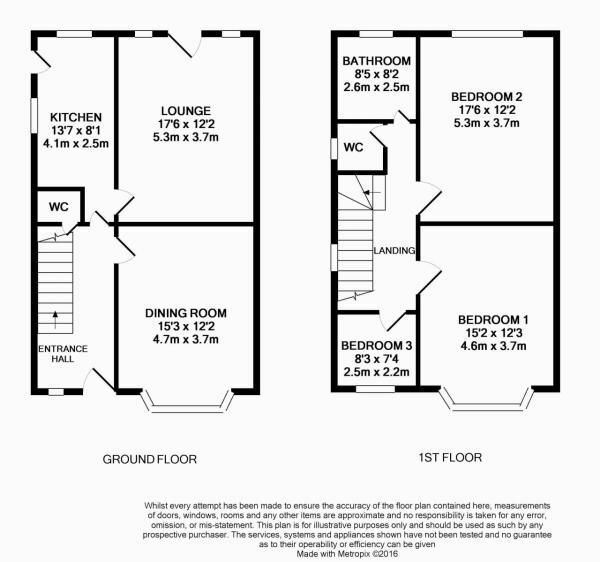 Viewings are via our Hazel Grove office 0161 483 5873. From our office turn left onto London Road (A6) and turn right at the traffic lights onto Dialstone Lane. Turn right onto Oakland Avenue where the property can be seen. SK2 6AX.